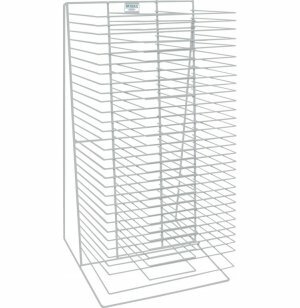 Tabletop Drying Rack - Single Sided - 30 Shelves 12"x18"
When you need a drying rack that doesn't take up a lot of room and can be easily put away when not in use, this single-side tabletop drying rack makes sense. 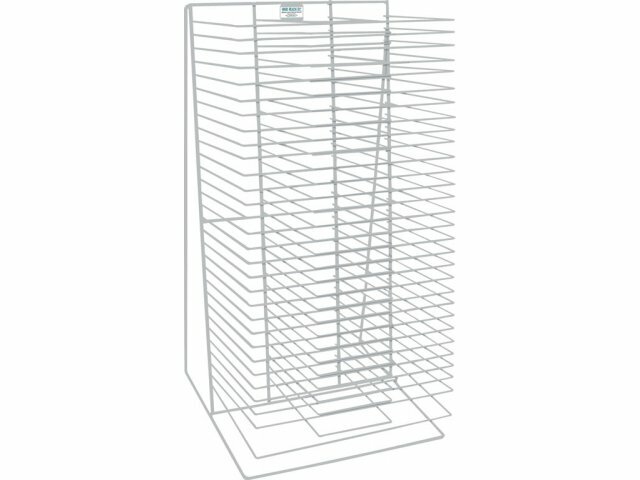 This drying rack has 30 large (12''x 18'') shelves with wire supports - plenty of room for the projects of an entire class. Yet it is compact and designed to sit on a tabletop or even on the floor. The drying rack is built to last, with tough welded construction and baked enamel to resist rust and solvents. With this tabletop drying rack, art projects dry quickly and don't take over your whole room.